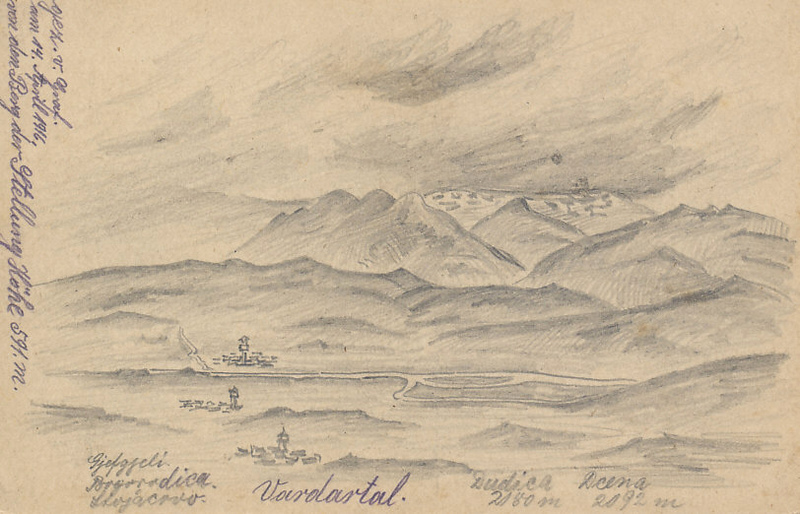 German pencil sketch dated April 14, 1916, of the Vardar River valley in Macedonia. Mount Dudica is on the current (2018) border between Macedonia and Greece. 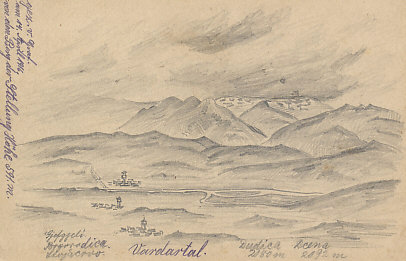 von den Berg der Stellung Höhe 591 M.
From the mountain of the position height 591 M.
"German pencil sketch dated April 14, 1916, of the Vardar River valley in Macedonia. Mount Dudica is on the current (2018) border between Macedonia and Greece."